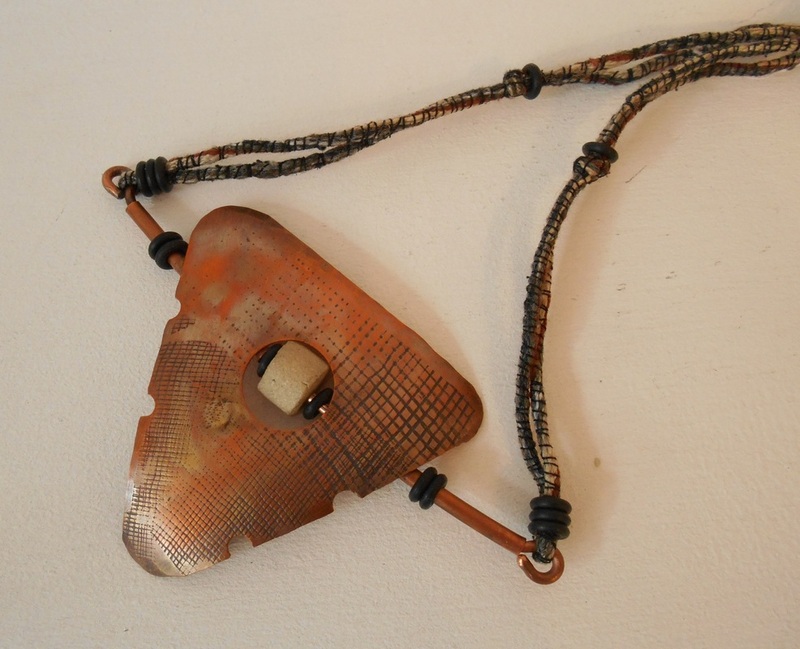 Barbara works in textiles and metals to create jewellery and hats. 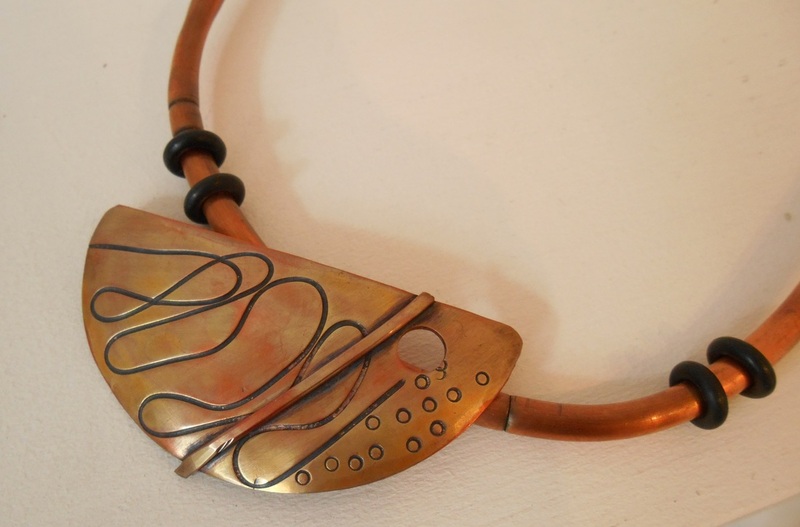 Her main areas of interest are in the combination of colours and textures and when making jewellery she works predominantly with copper which she textures and then patinates using both chemicals and heat. 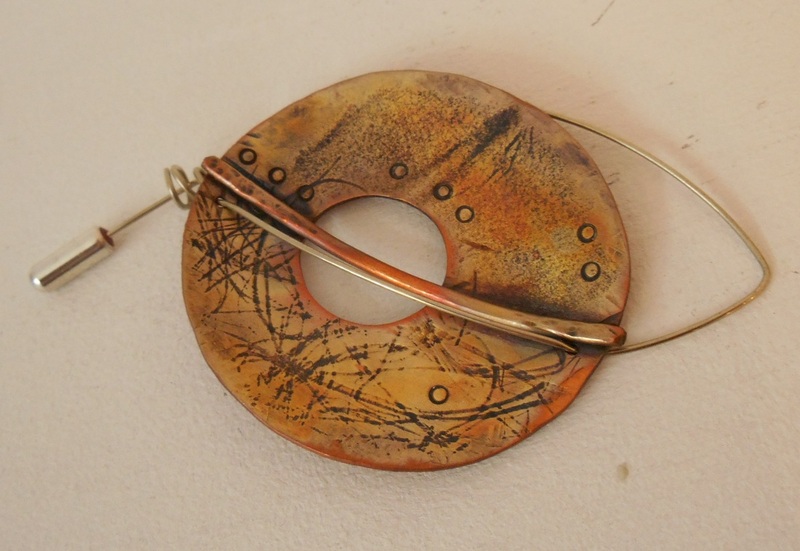 Barbara uses silver, rubber and other materials to create ear wires, pins and hangings which then become an integral part of the overall design. Her work is really intended for those who like something a little different that doesn’t cost the earth. Each piece of Barbara's is unique and different from the next. Please contact us if you would like to see what is in stock at the moment or pop in to see us to buy. Price range is £17 - £45.